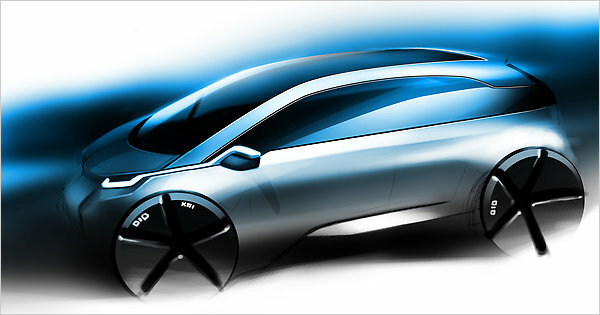 BMW has been talking about launching an electric car/hybrid sub brand for a while, although the German manufacturer had withheld its official name and details about models until this week: the future range of BMW’s eco friendly brand will be called ‘i’. The Megacity vehicle — named i3 — will kick start the new series, and a plug-in hybrid model, called the BMW i8 will be joining the line-up as well. BMW isn’t giving out a lot of information about the two cars, but from what we’ve learned, the small, sporty-looking zero-emissions i3 will be built on BMW’s “LifeDrive” structure, which utilizes lightweight carbon fiber and aluminum. The Carbon Fiber Reinforced Plastic (CFRP) employed to the car’s body boosts efficiency because it’s significantly stronger than steel, but lighter than aluminum. The i3’s motor is also expected to generate over 100 kW. The LEAF, in comparison, produces 80 kW. The powertrain will be similar to the second-generation electric drive system used in the BMW ActiveE. For those who can’t wait to get more information, the car will be on display at the Geneva Auto Show next week. 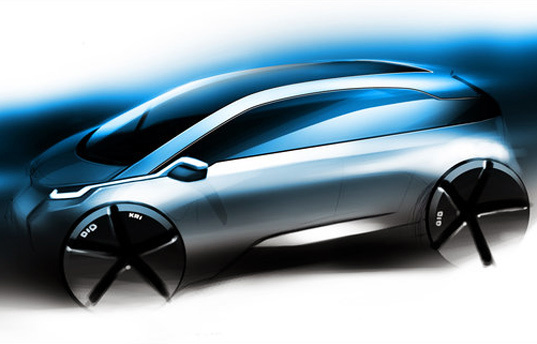 BMW has been talking about launching an electric car/hybrid sub brand for a while, although the German manufacturer had withheld its official name and details about models until this week: the future range of BMW's eco friendly brand will be called 'i'. The Megacity vehicle -- named i3 -- will kick start the new series, and a plug-in hybrid model, called the BMW i8 will be joining the line-up as well.